Looking To Sell? Contact Us! The vehicles sold by The Beverly Hills Car Club reflect the gamut of today’s social and economic experience: there are those automobiles that are top-of-the-line unequalled perfection, in which case scrupulous attention will have been paid to the particular model’s functional integrity and stylish perfection: any body-work defects, especially any rust discovered, will have been removed; any misfiring engine components will have been replaced; any snags connected to the interior fittings will have been rectified. 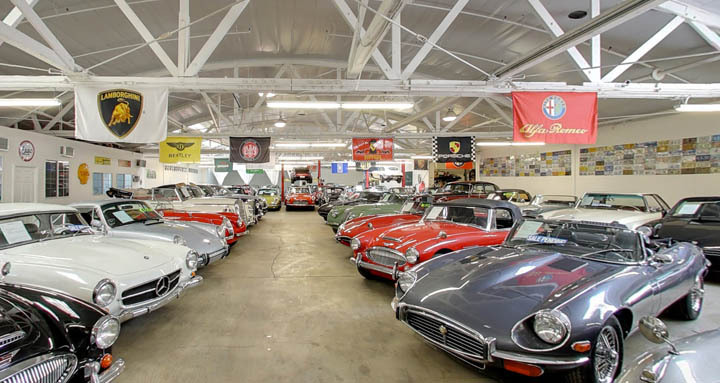 However, The Beverly Hills Car Club also has a number of the kind of nuts-and-bolts restoration projects adored by enthusiasts, their condition reflected in their cost. Owner Alex Manos is featured on Cars Yeah!